The flagship Lamborghini has a new aftermarket package from Germany. Capristo has developed an extensive new tuning job for the Lamborghini Aventador. The customized Italian supercar now packs a brand-new exhaust system developed by German engineers and a spectacular body built completely out of carbon-fiber reinforced plastic. Since the Aventador&apos;s debut at the Geneva Motor Show last year, the flagship Lamborghini has proven quite popular with tuning firms, with everyone from DMC to Wheelsandmore taking a crack at the latest Raging Bull. Capristo has shaved roughly 200 lbs from the Aventador&apos;s curb weight, bringing that total down to 3,472 lbs thanks to the carbon body kit that includes a new diffuser, front lip spoiler, grille, side mirrors, engine cowling, trunk lining and air inlets. To take the twelve-cylinder Lamborghini to its full potential, the German tuner has also added a new 1.4828 stainless-steel exhaust system for some extra boost. 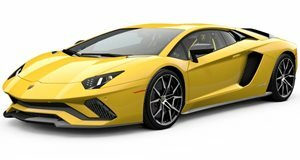 With a freer-breathing 6.5-liter V12, Capisto claims its custom Aventador can now sprint from 0-62 mph in 2.8 seconds and reach a top speed of 220 mph. These figures represent improvements over the factory numbers by 0.1 seconds and 3mph, respectively. Apparently Capristo is still toying with the one-off Lamborghini Aventador aftermarket program and they plan further improvements for better balance between weight and power. Underbody work, wheel housings and side sills are all on the German firm&apos;s docket for modifications.